A bicycle is the best way to get around and see the Sagano-Arashiyama area, or the town of Kameoka. Railwayman Bicycle Rental is close to the station and very convenient! 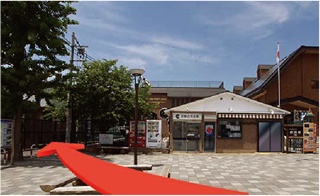 At the Saga Station branch, you can even rent a bicycle overnight and return it the following day. 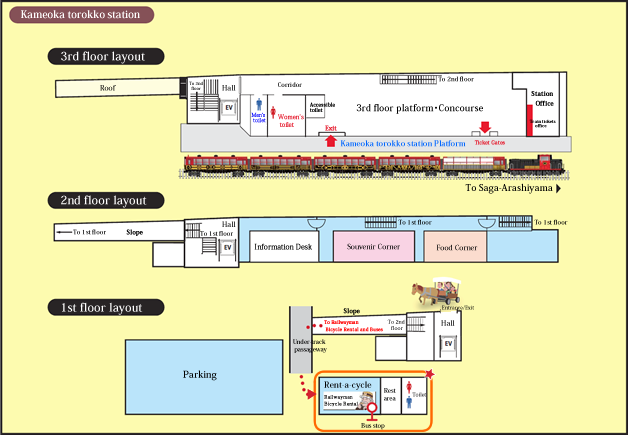 The Kameoka Station branch offers one-way rentals, too. 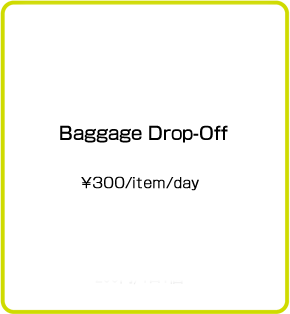 They'll even keep your luggage for you so you can enjoy your ride unencumbered. 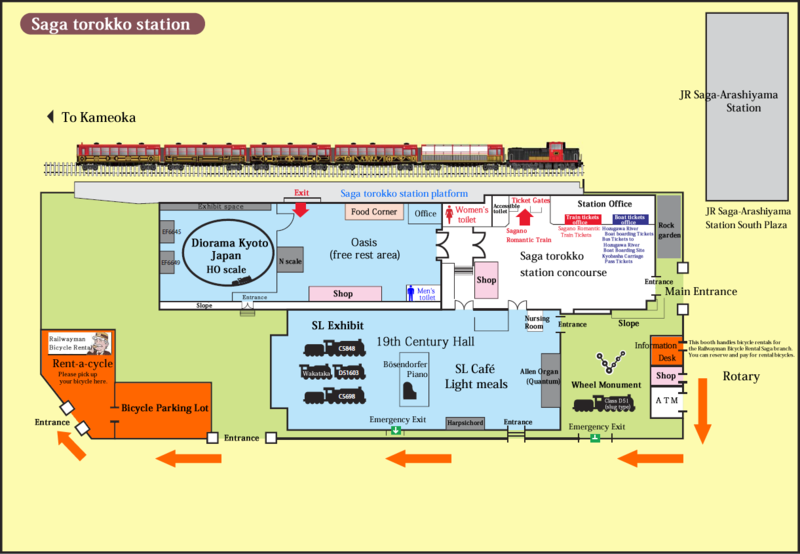 The Railwayman Bicycle Rental Information booth located beside the main entrance to Saga torokko station accepts requests for rental bicycles. *Bicycles are rented out at Railwayman Bicycle Rental Saga branch. *The Saga Station branch also handles overnight rentals that are due back the following day by 17:00. 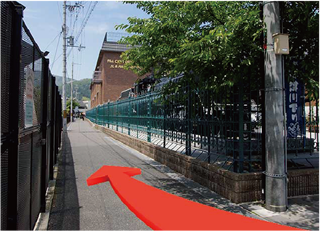 Reach Railwayman Bicycle Rental Saga branch by exiting Saga torokko station through the main entrance and entering the small path just across the grounds on the left. 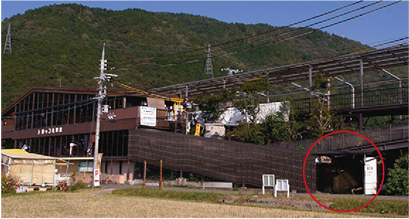 The green building just past the parking lot is Railwayman Bicycle Rental (Railwayman Bicycle Rental Saga branch). 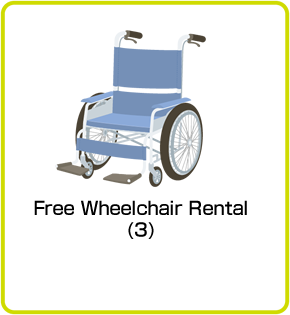 try an electric (pedal-assist) for easy hill climbing. This branch is only open when the Sagano Romantic train is operating. 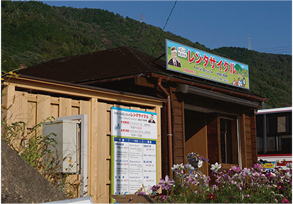 The Kameoka torokko station branch offers one-way rental service. 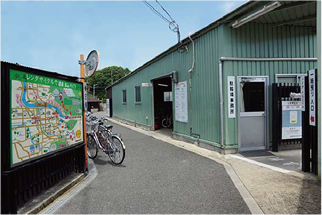 You can rent a bicycle at Kameoka torokko station and return it to a bicycle parking lot at JR Umahori, Kameoka, Namikawa, or Chiyokawa Stations. 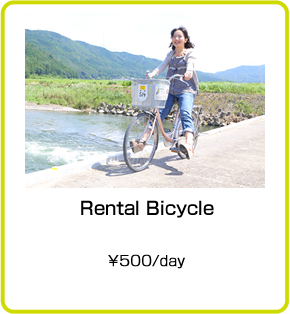 Enjoy cycling around Kameoka, then choose a drop-off location most convenient to your itinerary. 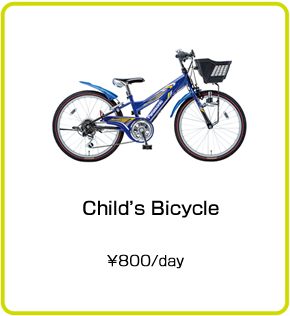 The Rent-a-cycle shop will provide you with information such as JR Station parking maps and a rental agreement. 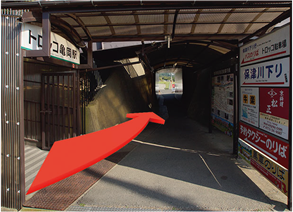 Reach the Railwayman Bicycle Rental window by going down the slope at Kameoka torokko station and heading to the left. 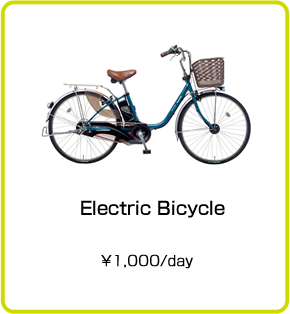 Railwayman Bicycle Rental offers more than standard bicycles - try an electric (pedal-assist) for easy hill climbing.